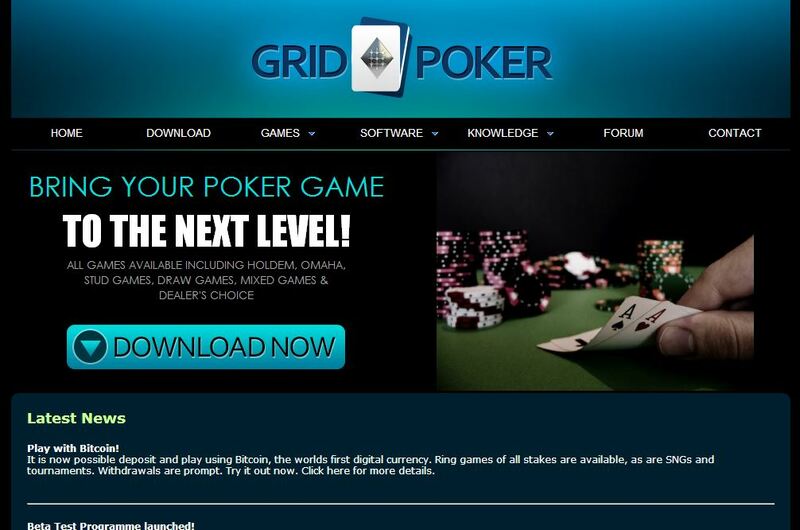 GridPoker is among the Bitcoin poker betting sites launched in 2013. However, what sets it apart from the rest is the array of features it presents, ranging from the high-quality products to the excellent gambling services. That is why it is difficult to rule this gambling venue out of the list of top poker rooms running on bitcoins. With that, check out the list of reasons behind the huge potential of this poker site to succeed in the industry. This Bitcoin poker site serves as a host to a range of means to enjoy playing poker. Bettors can choose to join tables that offer Hold’em, Omaha, 7 Card Stud, and even Chinese Poker and Chinese Open Face. Besides these, split-pot games like Omaha Hi-Lo, 7 Card Stud Hi-Lo, Badeucy, and Badacey are also offered here. Also available are the draw games Five Card Draw, 2-7 Triple Draw, 2-7 Single Draw, and Badugi on top of the other games. Moreover, itbrings several tournaments like Sit n Go and freerolls. 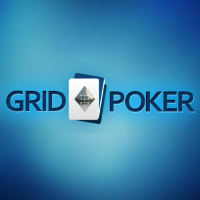 GridPoker is proud to have one of the most advanced poker software in the industry. Through this software, players will have access to the main lobby, the panels, the cashier, and the user settings. Boasting of modern graphics and seamless animation along with numerous features responsible for an overall unparalleled betting experience, this poker client can be conveniently downloaded to any computer. What is great about GridPoker is that it offers the three most common betting limits: Fixed, No, and Pot Limits. Through these various betting limits, online poker players will easily find the type of games that truly suit their betting style and bankroll. With a basic knowledge on Bitcoin poker rules, bettors can quickly navigate and enjoy the betting limits GridPoker offers. The rewards offered include a 100% deposit bonus as well as tournament chips. The deposit bonus will only be acquired by players when they make their first deposit into their account, with the bonus amount reaching up to 1 BTC, which is equivalent to 10,000 credits. Meanwhile, players can receive the tournament chips in freerolls or by taking advantage of the other promotions. GridPoker also ensures that the betting environment is protected from possible threats by employing sophisticated, high-level security measures. In fact, all transactions and communications between the client and the game servers are encrypted with at least 128-bit AES encryption. In addition, it encourages users to register complex passwords to prevent the accounts from being hacked. When it comes to the fairness of the games, this Bitcoin online gambling site incorporates random deck shuffling to guarantee that all the generated cards are done randomly and without any form of manipulation. With stringent security and reliable fairness, there is no reason for poker players to not bet on this Bitcoin poker site.